Lorenzo interview: "At Yamaha I felt like any other employee"
Jorge Lorenzo will be racing in red for the first time next Sunday when the MotoGP season kicks off in Qatar. Motorsport.com talked to the Ducati rider about the year ahead. Q. How much have your feelings improved on the Ducati from the first ride in Valencia last November? JL: In Valencia there were many different things that helped me, first of all the winglets. I had just won the last race of the season on the Yamaha. I was in a good shape, the Michelin soft tyres felt good and the layout of the track is not too demanding for braking. Everything went well. However, I struggled a lot at Sepang, even more on the first day on track; that shocked me. Then I understood I must ride the Ducati in a different way than the M1, something I did not expect. In Australia, two or three weeks later, I started to ride again with the Yamaha style. Every Ducati rider struggled at Phillip Island. If we did ride again at Sepang instead, we would have been closer. In Qatar everything went much better, as it's a good track for us. Q. At this point, do you think you still need more time on the Ducati, or do you think most of the job is now on the side of the engineers? 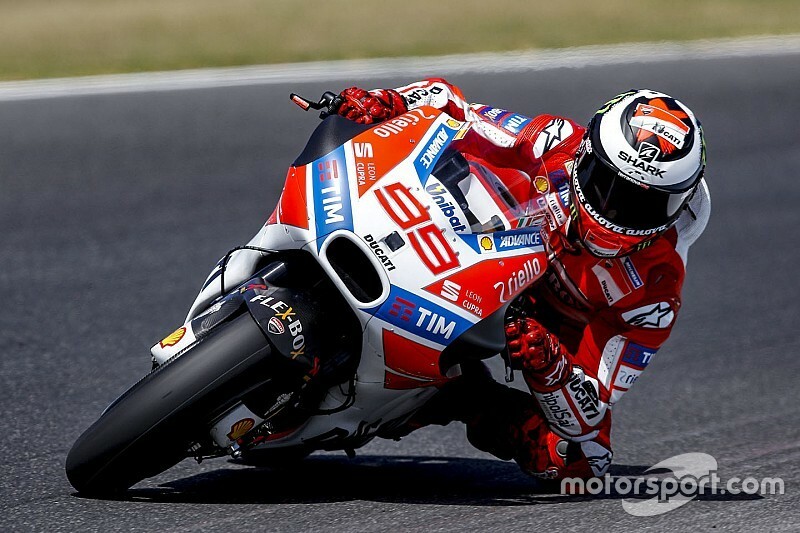 JL: I did not expect to need such a long time to adapt to the Ducati. I though my style of setting off the throttle while braking in a sweet and smooth way would do the job. I thought I was just going to lose some corner speed but I would get it back on the straights. Everything is actually different in every sense; under braking, in cornering and how you exit the corner, etc… We are actually now changing my position on the bike. I don't feel comfortable with the ergonomics yet. The buttons on the handlebars, as an example, are quite different and I'm still getting used to them. It's going to be a longer process than expected, but we will improve for sure. Q. Is the working processes from Yamaha and Ducati too different? 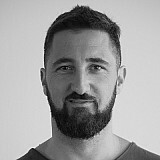 JL: Despite being a warm blooded Italian, Gigi [Dall'Igna, Ducati technical director] is cold, methodical, a perfectionist. He's a mix of German, Japanese and Italian. He's got a strong method and I think Ducati changed a lot since his arrival. The main difference from Yamaha is that Gigi is at a different level than the rest of the engineers, but you just can't see that because he's completely integrated in the group. When the rider comes in he and the rest are on their knees to listen to him. In Yamaha the highest engineers don't have too much contact with work in the garage. Dall'Igna is a much closer person and that makes it possible to solve problems very quickly. Q. As the winter was coming to an end, the Ducati garage saw a high number of engineers watching around. JL: That's something I would have liked to change at Yamaha. I used to see Marquez's garage full of engineers. I asked for that but it never came. At Ducati they treat me with a kind of admiration; at Yamaha I felt just like any other employee. I could be an important piece of the thing, yeah, but at Ducati they respect and admire me a lot. They know they hired me in order to develop a better machine and to take a step ahead in performance. Q. How did the Ducati staff react when you said this season is going to be almost impossible to fight for the title? JL: In this sense it happens like in football. Barcelona plays against PSG and loses 4-0, but three weeks later at the Camp Nou they're capable of winning 6-1. It's the same in motorcycling racing. In 2017 the rules change, the winglets are banned, then Honda and Yamaha improve a bit and the field changes completely. Ducati won in Austria, a track that suited that prototype, but at Sepang it won in the wet. As circumstances change, many more things may do so. 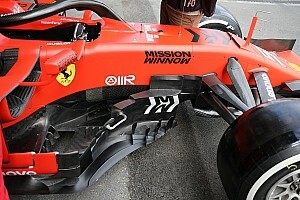 Okay, winglets are forbidden, so we have to find a way for the bike to perform as well without them. The goal is to improve in order to become more competitive everywhere and win as many races as we can. Q. 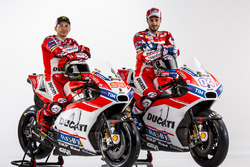 Are Ducati and Lorenzo's realities different somehow? JL: Ducati hired me to win the title, but without saying when. Many thought it was going to be a matter of riding and just winning, but it's a bit more complex than that. You can win in Qatar, then get a good result again in Argentina and find yourself with a chance of fighting for the championship. But at this moment, with no winglets and both Marquez and Vinales so strong, it won't be as easy as some thought it would be, but we need to improve the bike a bit more than we expected. Q. Does the idea of Marquez getting back the title in 2016 despite a bike that was far from best inspire you? JL: Marquez did his best because until the mid-season his bike was behind at every track. He fought against a very effective bike, the Yamaha, and two riders that don't crash very often, as both Rossi and myself are. In fact, Michelin decided to change the tyres at the second round of the season in Argentina, and that worked against us. Now Michelin's tyres suit the Honda, Yamaha, and Ducati, so no one is behind. Honda has a very complete machine, they have improved on their handling and smoothness; and the Yamaha made a step ahead with Vinales too. If someone has problems, but everyone is struggling too, as it happens to Marquez last year, then you still have a chance. If they hadn't changed the tyres in Argentina, I think Marquez would not have won that title. Q. Will tyres become as decisive in 2017 as they did last season? JL: I understand it was difficult for Michelin after many years out of the championship and finding much more powerful motorcycles. I never said they were not making an effort, it was just they had to find how to improve those compounds. And I'm happy with the work done, even more so on the front tyre because at the beginning there were lots of crashes, some of those were not easy to understand back then. Q. What do you thing about the level shown by Vinales in testing last winter? JL: We must not forget that Vinales used to fight for victory against Marquez when they were just kids. Marc was one or two years older and maybe he had it easier due to the support from Honda and Repsol. Vinales' evolution was a bit slower, but don't forget, he arrived to the MotoGP grid on a Suzuki; it's not the same to debut on the best bike on the grid, which the Honda was back in 2013. However, in terms of pure talent, Marc and Maverick are on a very similar level. They are both two wild riders with different styles, but in terms of talent, speed and motivation, I think we're actually welcoming another Marquez. It's not only a personal feeling, but also the same for many other people. Q. Marquez admitted that one year ago, when his Honda didn't seem to be very competitive, he even thought he had forgotten how to ride fast. Did this happen to you? JL: That's the feeling all riders experience at some point, and in fact in some cases they're actually right (laughs). Some say with irony they experience that, but they actually never come back to their best level. Most of the times having doubts about yourself comes from not so fast laptimes; then you push harder and don't improve. And then you think it's about yourself. There have been some pre-seasons in the past that took a lot from me. Q. Are your problems in the wet solved with the new tyres? JL: I have won wet races after overtaking Stoner and Pedrosa at the same turn. You need a lot of confidence for that. In some other races, like at Assen last year, I finished last. When a rider doesn't feel confident it's hard to be fast. I did feel confident on the 2016 Michelin front tyre, and then the Yamaha didn't help that much on the wet either. One of Ducati's advantages comes in the wet, and I hope that will also help me to become as competitive as I have always been. Mamola column: Is Rossi set for a painful MotoGP season?